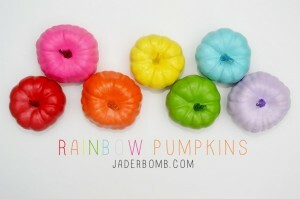 Hey Halloween Fairies, it’s Jade from Jaderbomb.com! 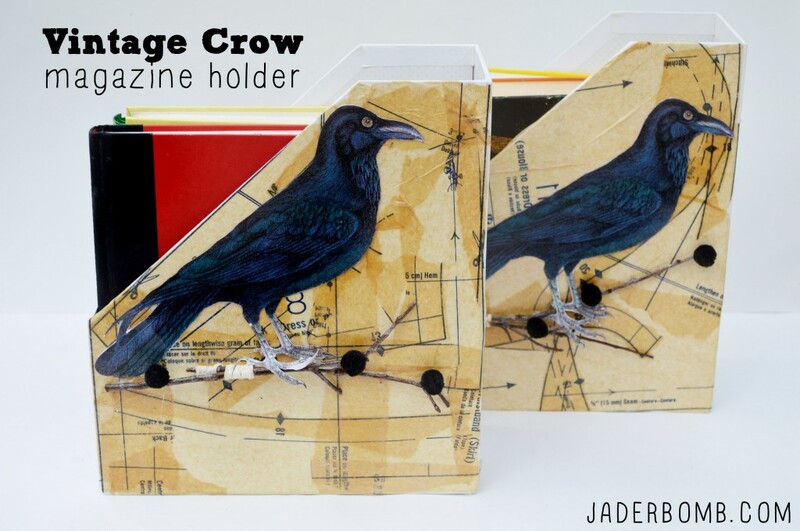 I am so happy to share my fun Vintage Crow Magazine Holder with you today. I used to think Christmas was my favorite holiday until I grew up. Now I have come to realize that Halloween is by far the winner. I an not sure if I love the feel of Halloween or the classic look of it. I would have to say my style is more on the vintage side when it comes to decorating. I prefer making things that look and feel old. Let’s get started on today’s craft! 1. 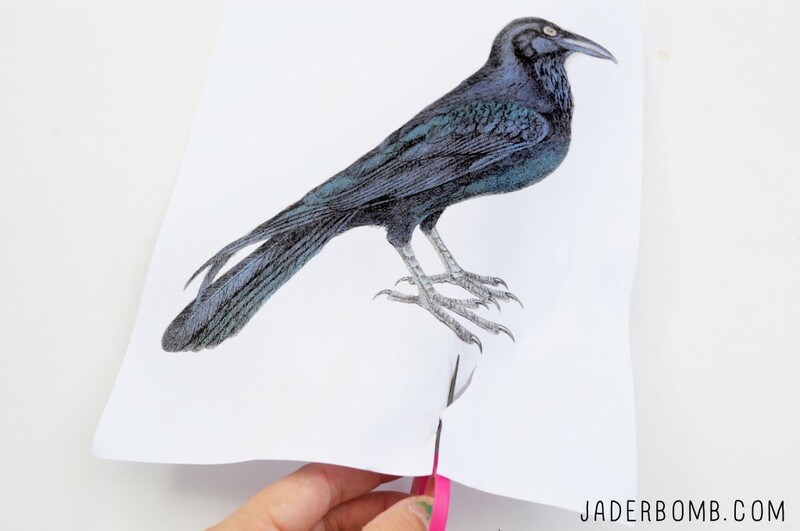 Print this Vintage Crow out. I always print on card stock to make sure the paper is sturdy. The last thing you want is a nice image on flimsy paper. Cut your crow out completely. 2. 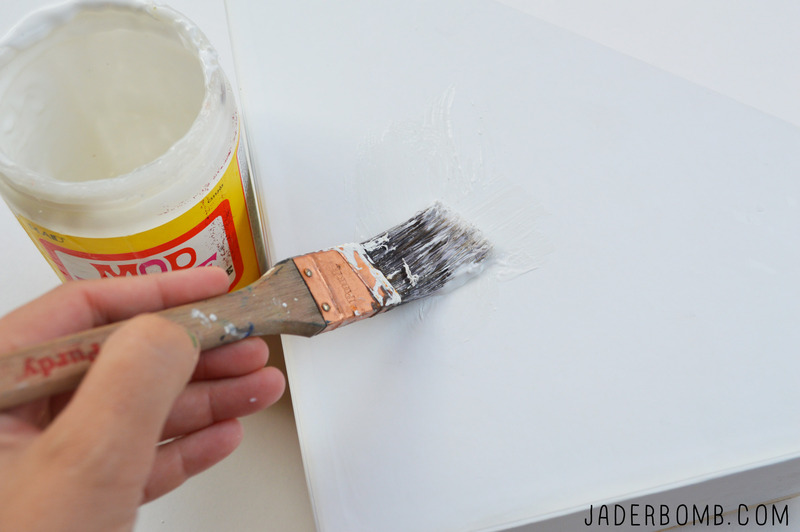 Coat your magazine holder with Mod Podge. 2. 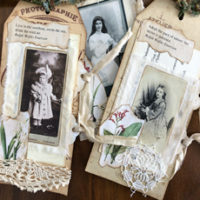 Tear sheets of vintage fabric patterns and glue them onto the magazine holder’s side. You can cover the entire magazine holder if you would like. 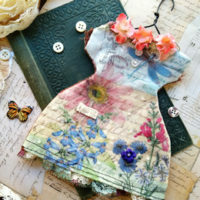 Also, if you don’t have vintage patterns you can use new ones. I just happen to have a rather large collection of them. 3. 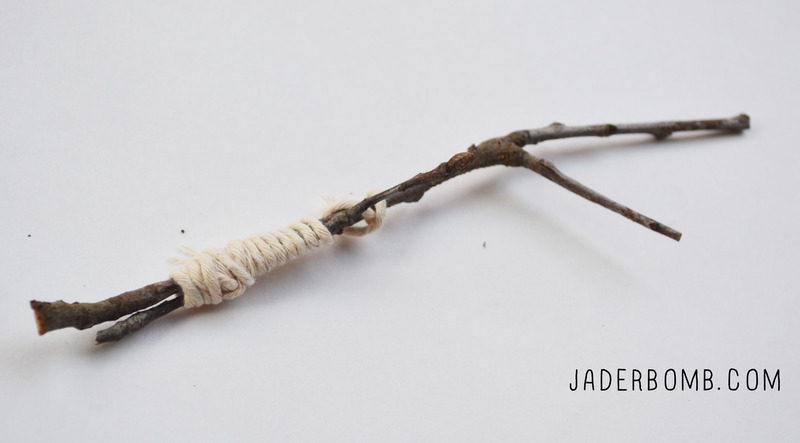 Get a few twigs from a tree outside and tie them together with yarn or twine. To secure the ends I applied a little bit of hot glue to the back of the twigs. 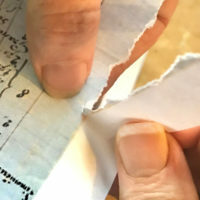 Use hot glue to secure the twigs to the magazine holder. 4. 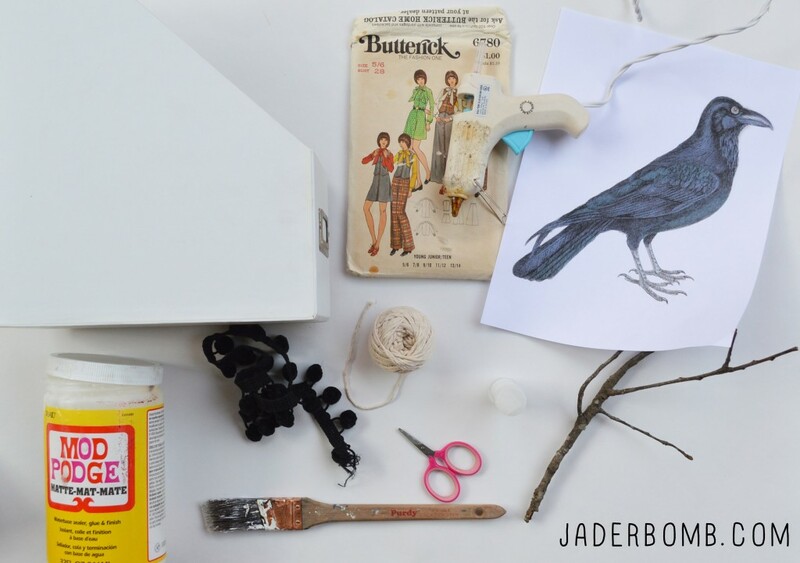 Mod Podge your crow to the magazine holder. Place the feet in the twig so it look’s like it is sitting on twig. I hope you enjoyed this tutorial! See you next month. Check out my other fun Halloween tutorials! Warning, I LOVE color! I love the magazine holder (or perhaps cardstock (8.5 X 11″). I think this is one I’m going to try. What type of holder did you use? Plastic? 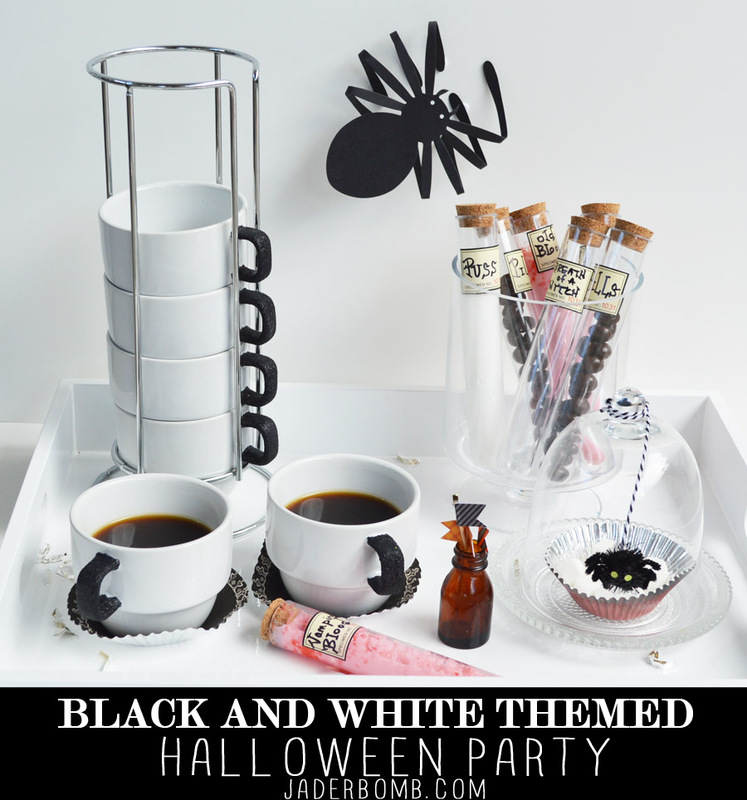 I wonder if you could use a cereal box covered in white paper first? 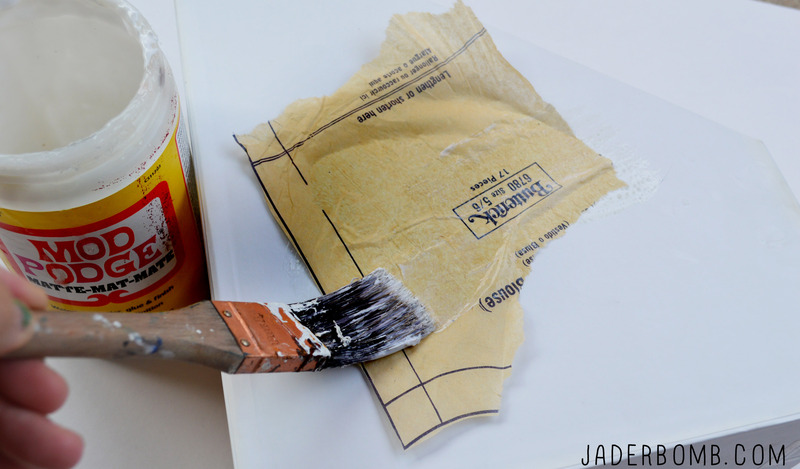 The mod podge would make it stronger. Thanks for a simple, yet elegant idea. what a fun ideal. much nicer looking display. thanks 4 another great project.